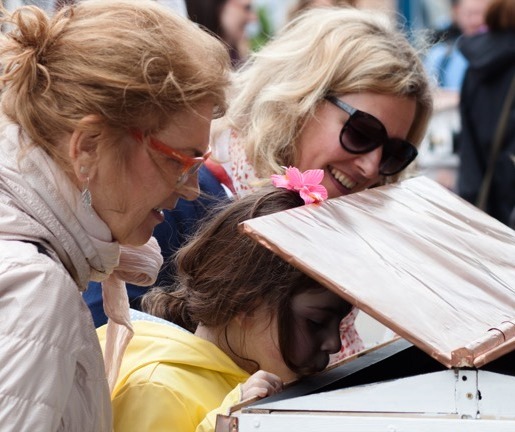 The Bees is an art installation of multiple hives beautifully hand-made with copper roofs and corners. Each hides a unique, unexpected interior world. Some use high-spec digital technology – others rely on more traditional means. 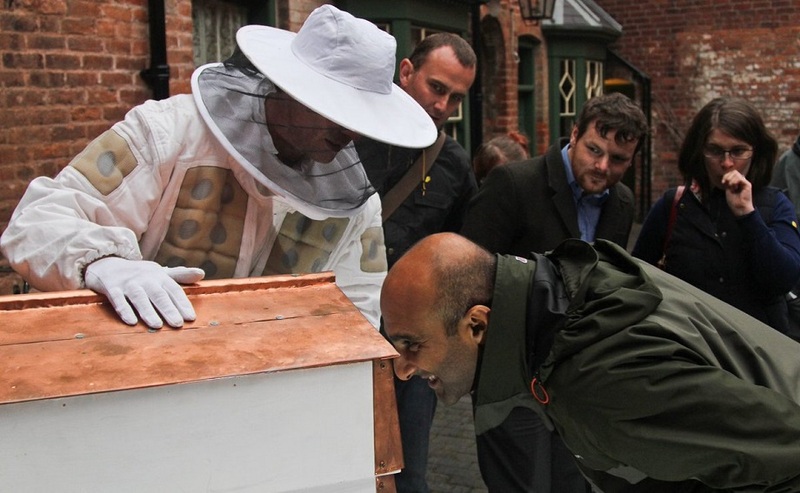 Audiences wander amongst the honey-perfumed Bee colony, occasionally cloaked in smoke, finding a variety ways of viewing and interacting with the contents. In each there is a surprising conceptual twist, which challenges, charms and confounds expectations – you may find yourself looking into the vastness of space, or teased by a telescopic hive soaring into the air. 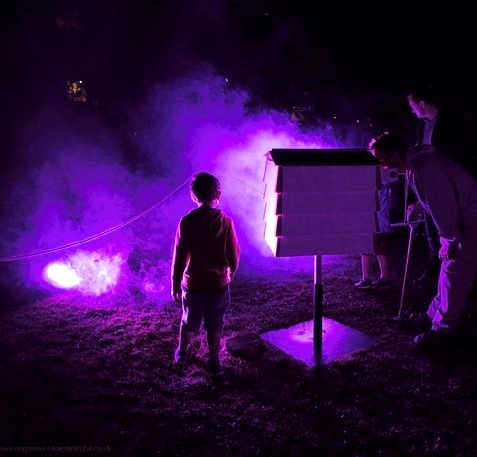 The Bees Art Installation is tended by ethereal beekeepers and atmospherically lit when performed at night. 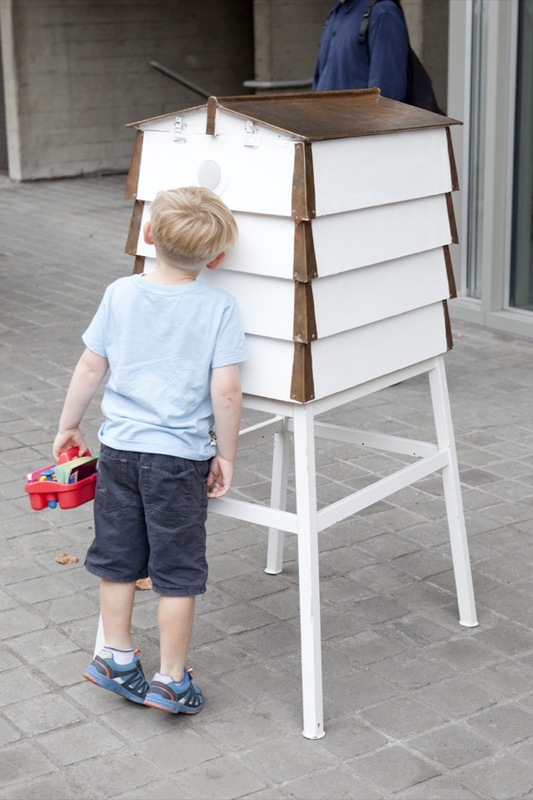 The Bees Art Installation are designed to be multi-sensory, engaging spectators through taste, smell and touch as well as sight and hearing. It presents a clear and resonant image, but with a frisson of danger – the hives are realistic and might just contain stinging insects – do you really want to put your eye up to that hole? The Bees Art Installation investigates the complex symbiotic relationship humans have with bees. It is beautiful, humorous and thought provoking. Each hive is designed for only one or two people to see inside at a time with the experience, being reinforced artistically through visiting the whole colony and witnessing the reactions of those who see it before or after you. 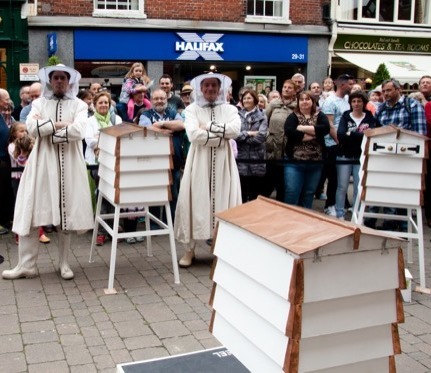 I stumbled on a set of beehives in which hallucinatory things were going on with bees…a bee disco was in full swing. Electronically animated bees were zipping around a dance floor. Clever, I thought, and pretty cool. 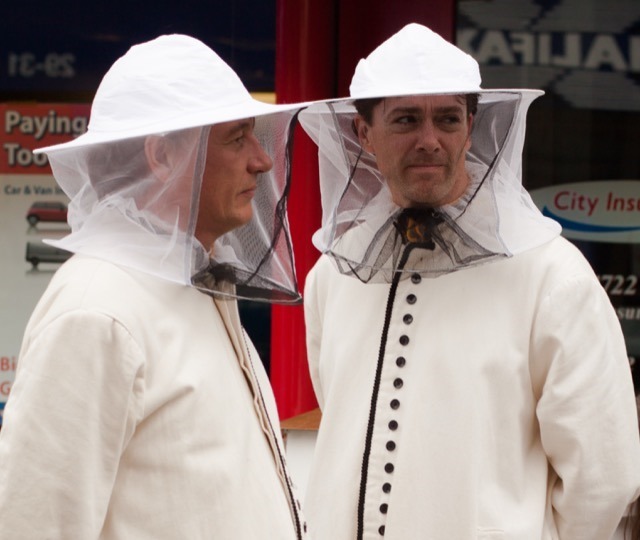 …thank you for bringing your marvellous bees to our City Encounters programme. My niece and nephew haven’t stopped talking about it since, and they will not be alone! 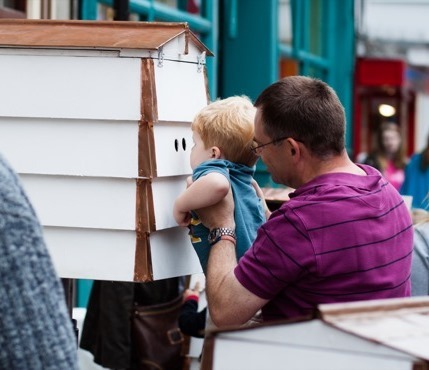 It’s a lovely piece, and I particularly like the way you are able to involve adults and children of all ages with the different ideas that each of the hives explore.